At D6, Microsoft gave the world its first look at Windows 7, the successor to the much maligned Vista. Now, three years later, the world into which that OS launched has changed drastically. The growing popularity of tablet PCs and the advent of the cloud are placing new demands on the world’s most ubiquitous OS, requiring Microsoft to evolve and refashion it. 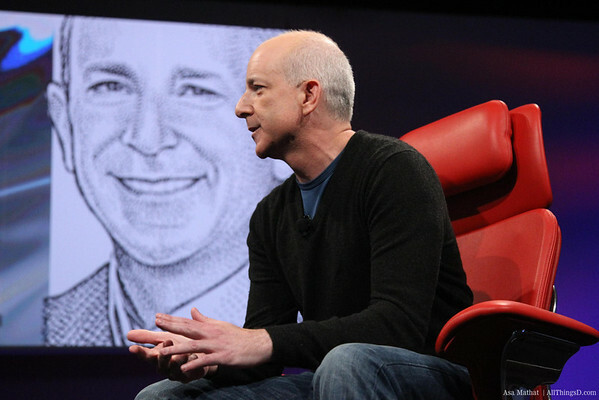 As Windows president, Steven Sinofsky has a better perspective on this transition than anyone. Not only did he extricate Microsoft from the Vista miasma, he’s the guy who wrote the book on Windows 7. Literally. 3:45 pm: Don’t worry. You haven’t missed anything yet. He should take the stage in about five minutes. This will be the spot so you don’t miss a thing. Lots more coming in just a bit. We promise. 3:47 pm: Ina Fried here. I’m with John P. and we’re tag-teaming to bring you live, exclusive team coverage of the impending Windowsfest. 3:54 pm: And we’re off. Walt takes the stage. 3:54 pm: Moving right into the session, he welcomes Sinofsky to the stage. Sinofsky comes bearing gifts: sugar-free candy. 3:55 pm: Walt: How do you feel about not being in the “Gang of Four” that’s running the Internet? Sinofsky: You know, I’m watching it and feeling like the guy who’s in “The Voice” and not winning it. 3:56 pm: Plus, he says, nothing that starts as a “Gang of Four” ends well. 3:57 pm: Walt: You have missed a couple things, your company has missed a couple things that have gone on. 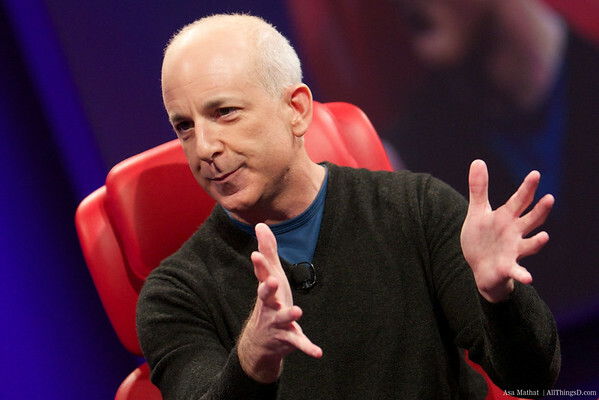 Sinofsky: We definitely didn’t do the iPhone. Walt: You missed the first wave of super smartphones, consumer tablets, etc. What’s going on? I know you have smart people. Sinofsky: There are always things we are doing well. You picked two of the things we didn’t do particularly well. We’re not out of the game. 3:59 pm: You don’t think it is a systemic issue? Sinofsky: I don’t think so. On phones: We aren’t there yet. But we’ll just keep trying. 4:00 pm: As to Windows, Sinofsky says they are going to be showing some things today. 4:01 pm: And here is what they are showing: Windows 8. 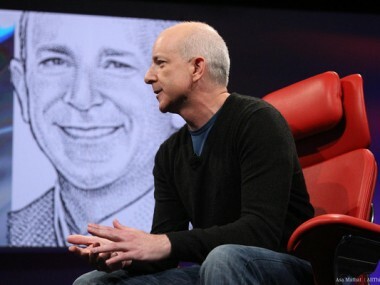 Here’s my first look and interview with Steven Sinofsky. And yes, it’s called Windows 8, though that is only the code name. 4:03 pm: Sinofsky is noting how Windows has gone from a 100MHz processor to something that can run servers in data centers. Now, the company is looking to scale Windows in a different direction. 4:04 pm: Sinofsky talks about how Tablet PC and Media Center were other examples of how the company has evolved Windows along the way. Walt points out that those were two failures. Sinofsky notes that they were adopted by some and show how flexible Windows can be. 4:05 pm: Touch, he notes, came with Windows 7, which was first shown at D.
As for why Microsoft did touch the way it did with Windows 7, Sinofsky notes that there wasn’t an iPad then, or another touch-screen slate. “Clearly the world changed underneath it,” he says. 4:06 pm: Walt wonders about Windows’ legacy issues. It’s this big bulky thing. But when you flip on your iPad or your Android tablet, these things feel much faster. Why are you sticking with Windows instead of turning to another OS? Sinofsky: The thing that’s most fascinating about Windows is its evolution. it’s grown up with hardware and at some point it reached a plateau…and what happened was we were doubling the system level resources…and so we looked really hard at this and we realized we could change the OS without increasing the system requirements. 4:10 pm: This is a big deal. Windows 8 won’t require any more hardware oomph (memory, disk space graphics, etc) than Windows 7. Plus, as noted back in January, it will run on both Intel and AMD, as well as ARM-based chips. 4:12 pm: Wait for it….We’re just going to call it a code name. We’re just calling it Windows 8 for now. They had lots of big meetings. Should there be a code-name like Firestorm. Your code names are always better, Walt says. 4:13 pm: Demo coming in 1 minute, Walt says. 4:13 pm: Sinofsky talks about legacy support. Walt: You mean like viruses or craplets? Sinofsky: Or printing. Solid-state and disk support. 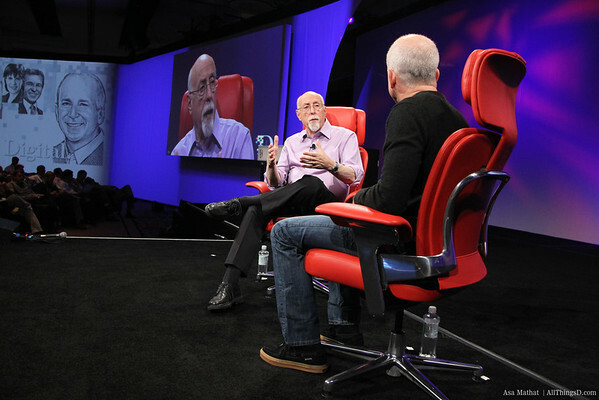 As for Windows 8, he says it is a reimagining of Windows, an example of coloring outside the lines. 4:15 pm: “We have an approach that is different” but builds on the value of an OS that sells 400 million or so units a year. Laptops, slates, desktops all can run one operating system. Walt: And every program that runs in Windows 7 will run in Windows 8? 4:17 pm: Julie Larson-Green comes out for the Windows 8 demo, with a big lucite “bread box” screen–that is, a screen with a bunch of visible hardware. 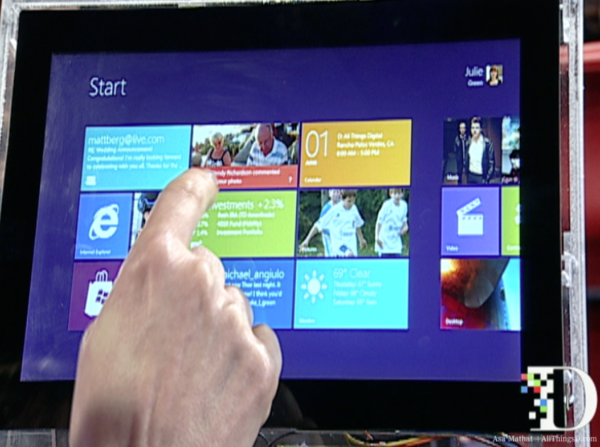 Windows 8 starts with a lock screen, similar to a phone, with a clock, upcoming calendar item and notification. Swipe up from the bottom and you get a start screen very similar to Windows Phone 7, with similar kinds of Live Tiles. Definitely Microsoft has designed its own style, she says. Apps have their own tiles. Important: There is one for a Windows Store. 4:21 pm: She’s showing a couple of apps designed for new Windows–stocks, weather, etc. There’s a set of menus on the right hand side that Kara and Walt want more details on. The buttons are “search,” “share,” “start,” “connect” and “settings,” though she won’t offer up any details. “We have a whole developer conference,” Sinofsky says. Microsoft plans to share more at its Build conference in mid-September in Anaheim. Now she is showing Internet Explorer 10, which has been built to run as a “new Windows” app. 4:23 pm: There is an on-screen keyboard with arrow keys and some other things that have been annoyingly missing from past on-screen keyboards from Microsoft and others. 4:24 pm: Demo screen is a 10.6-inch, 720P screen. The keyboard can also be split with keys on each side making it easier to thumb type. As for existing Windows apps, you can open them from the Start screen and they open into a familiar Windows 7 desktop–which looks almost identical to Windows 7. 4:25 pm: Walt: Why didn’t Office move to the new Windows? Larsen-Green: “They may do some things in the future” but people shouldn’t have to give up programs they know and love. New-style apps can access all Windows stuff. One new demo app is a Twitter client called Tweet-o-rama that can grab photos using the new interface as opposed to an old-style dialogue box. 4:27 pm: Overheard in the D9 cave. “It’s like the Kin.” Guessing that’s not the reaction they are hoping for. 4:27 pm: Even when old-style Windows apps are open, users can swipe the screen to move to different apps and have new-style and old-style apps run side by side. 4:28 pm: Larson-Green says users can choose how their start screen looks, making icons for whatever they want. Companies can put the things they want their employees to have. 4:30 pm: Microsoft showing Windows 8 here running on four Windows 7 machines, three of which are touch. One is the touch-only Asus eeePad. Another is a Lenovo x220T tablet with touch while one is a touchless machine. Hundreds of millions of machines will run Windows 8, Larson-Green says. 4:32 pm: Walt and Kara are grilling the Windows duo on why not move Office and other apps to the new Windows look so users don’t have to go back and forth between the two new looks. 4:33 pm: While we are learning a lot about Windows 8, here’s my post on three things we aren’t going to get answers to today. 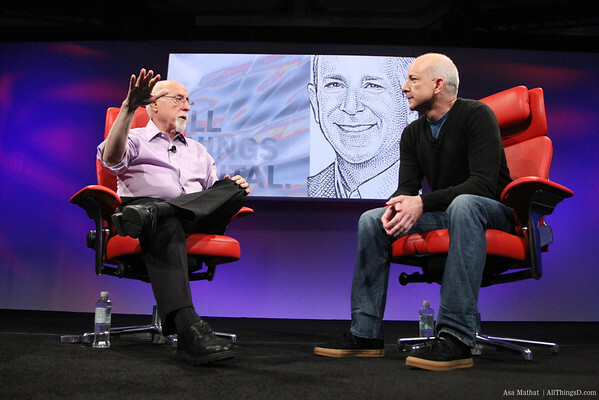 4:33 pm: Sinofsky and Larsen-Green agree that this is the biggest change since at least Windows 95. Walt: And when is it coming out? Sinofsky: Can I use the earlier answer that it is a defense department secret? Right now, we are focused on getting the release done. Every two to three years is a good release schedule (Windows 7 was released in October 2009). “It won’t be this fall,” he says. 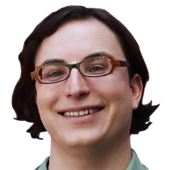 4:35 pm: Next milestone is Microsoft’s Build developer conference in September in Anaheim, Calif.
Larson-Green: On how big a change Windows 8 is–“It is a big change, but it is not a big change,” she says, because everything is compatible. Walt says that company followers may see the lineage from Windows Phone, Xbox, Media Center, Zune and other products. But the average consumer, he suggests, will be shocked. 4:37 pm: Walt: You’re going to offer developer tools so apps can look like this? Absolutely, says Sinofsky, adding that the APIs will also link into some new services. 4:39 pm: Here’s a link to a post that Microsoft has put up on their Web site. Microsoft also has a YouTube video on building Windows 8. Microsoft has also put up a Web site for that Build conference in Anaheim. 4:38 pm: Walt: If you’re a developer, is there a philosophic difference between touch-centric apps and those that use the mouse? Larson-Green says the solution is to design for touch and then allow the OS to translate that input from the mouse if necessary. 4:43 pm: Walt wonders about security. Am I really going to have to install some antivirus program on these devices? Will that continue? Sinofsky: I think it will always be a good idea to run security software. If you think your machine’s not a target, you’ll fid out pretty soon that it is. 4:44 pm: Back to the “full Windows” experience issue. Does bringing the full Windows to the tablet experience mean that you’re bringing all the operating system’s security issues to it as well? Sinofsky dodges, says he simply doesn’t see operating system security ever not being an issue. 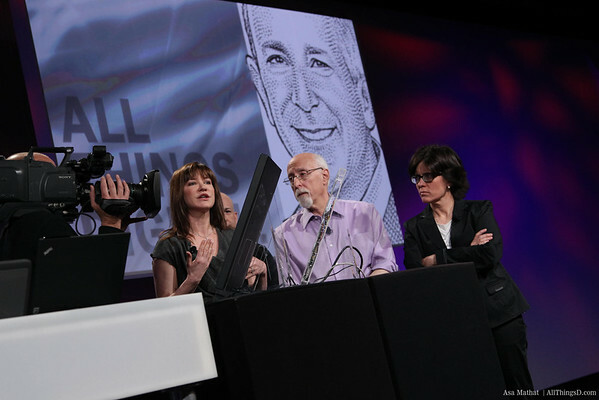 4:47 pm: Walt: Will all these new devices start up as fast as a MacBook Air or iPad? Sinofsky suggests they probably will, but won’t say definitively. 4:48 pm: Moving on now to the Q&A. What about a compatablity layer that allows older Windows apps to run on ARM? Sinofsky says, as he did in January, that there won’t be emulation layer. 4:49 pm: Where is Silverlight in all this? 4:52 pm: Microsoft plans to talk more about Windows on ARM at an event in just a bit at Computex in Taiwan. 4:52 pm: A question about the Gang of Four from Tim O’Reilly. A big part of what those companies have is the data that they’re harnessing to build a service that gets better as people use them. Microsoft has this data as well, but it doesn’t seem to be using it as much. Shouldn’t Microsoft be integrating all this data into its core services? Sinofsky: We are. Microsoft’s data assets do inform its core design to some extent. 4:55 pm: How is Windows 8 different from TouchSmart? Isn’t this just a layer on top of Windows? Larsen-Green is adamant. It’s not a layer. It’s Windows. It’s a seamless experience, she adds, noting that you can still access the file system and other core systems. 4:57 pm: Could an OEM make a tablet in which the user would never see “traditional” Windows? Larsen-Green: You can’t turn the desktop off. You can choose never to go there…but it’s always there. 4:59 pm: Likewise, by the way, you can’t really turn off the new Windows. It is the start screen. I would love to if someone would lend me the money.